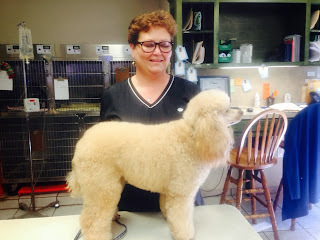 This was Melissa's first day in the office to groom. Isn't this dog beautiful??? Please come in and visit with Melissa about your grooming needs. You can ask her about the dog's or cat's grooming needs also! !